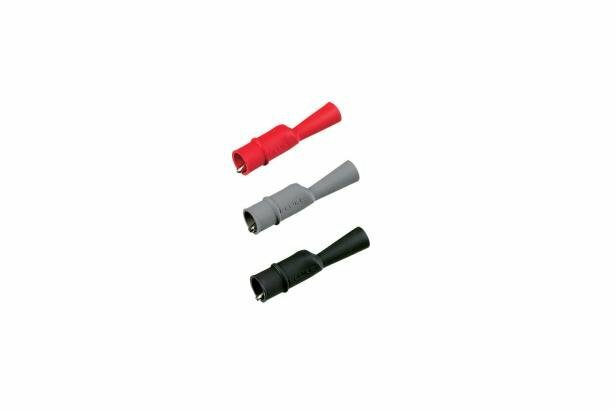 Set of three (one red, one gray, one black) safety designed insulated Probe Tip Alligator Clips. Designed for use with STL 120 Shielded Test Leads and TL75 Test Leads. Accepts standard 0.08 in (2 mm)-pin tip sized test probes. Nickel-plated steel jaw contact material with standard jaw opening of 5/16 in (8 mm).